Figure 5-30.Grounding clip and grounding screw. 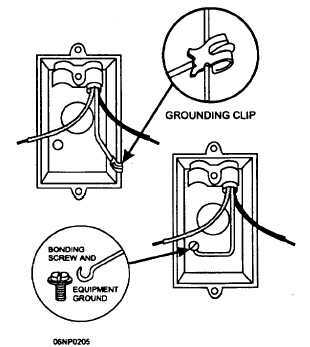 Home > Construction Training Manuals > Construction Electrician Basic > Figure 5-30.Grounding Clip And Grounding Screw. Figure 5-29. 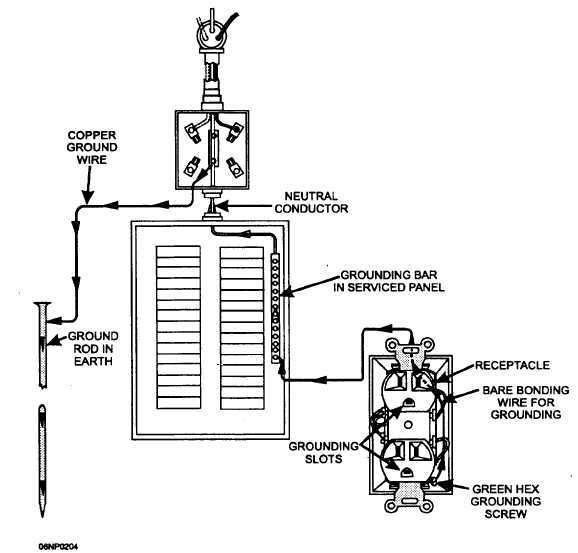 - Duplex receptacle electrical connection with the grounding system. ground does not normally carry current. The only time it does is when there is a fault in the circuit. At all outlet boxes that require grounding according to the NEC, the equipment-grounding conductor must be fastened to the box with either a grounding clip or a grounding screw, as shown in figure 5-30. Figure 5-30. - Grounding clip and grounding screw.